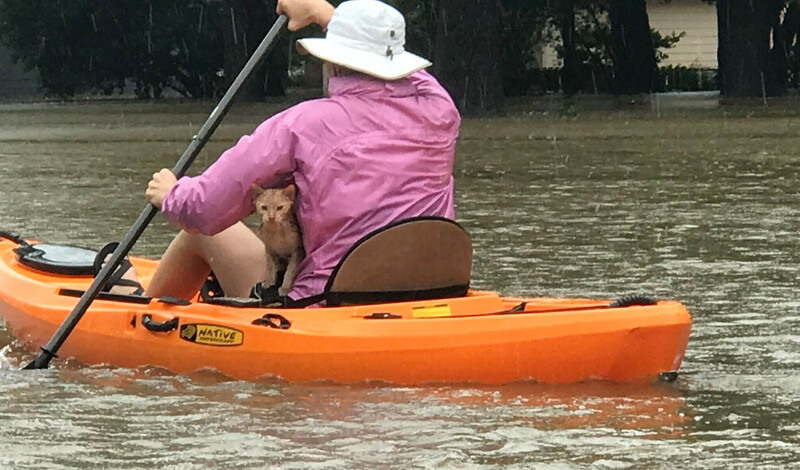 Friends, I can’t stop thinking about the images and stories of pets stranded, confused, frightened, and lost in Texas because of Hurricane Harvey. I’ve also been tremendously moved by the acts of courage and compassion performed by first responders, neighbors, Good Samaritans, animal shelters, and veterinarians and veterinary nurses, all to help pets and pet owners who are struggling and in danger. Although I’ve donated and shared links so you can donate as well, I’ve decided that’s not enough. 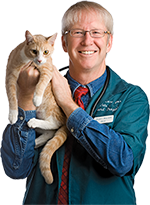 The Texas Veterinary Medical Foundation is providing funds to help veterinarians keep doing this important work. These grants are intended both to reimburse them for their medical supplies and to cover other needs – such as clinic repairs and rebuilding – on a case by case basis. I huddled with the team at Fear Free, and we have partnered with the TVMF to offer additional funds to help Fear Free Certified veterinarians and veterinary technicians in the flooded areas. Fear Free has started the fund out with and an initial $10,000 donation that we’ll be adding to soon. However, the need and the urgency are great. Please join your dollars with ours and show the community of Fear Free certified veterinary care providers that we stand with them in their time of greatest challenge. You can learn more about the Texas Veterinary Medical Foundation and its disaster relief work on their Facebook page. Thank you to all of you who are so generous and show such concern for the suffering of animals every day. I know you will come through for them this time, too.